I've decided to host this event to make the creative game mode even more fun! The task is simple, build and use your imagination to make an outstanding piece of art on your creative plot. There will be rewards for the 5 best plots in creative and once your plot is ready you can submit it on our creative section in the forums, you must take screenshots of 5 different angles for your plot and some extra detail if you have any that is. You have 1 month to complete your plot, please note that the rewards are per plots, meaning you can have a friend combine a plot with yours and you can both build a piece of art together, then one of you decides who will get the code or alternatively you may also share it, that's not a problem. Good luck everyone, have a nice day! It's time to innovate and get more ways of earning coins and money, and this is by being afk! That's right... you can now earn coins and cash by being afk and doing nothing! You will receive 1 coin and 15,000$ per 10 minutes, and it may not seem like a lot but think about it, you can go to the store with your family, on a reunion or anywhere and just leave your laptop turned on making you money and coins on my server, hehe sounds easy right? Not just that but our afk system won't kick you out at all or stop you from earning rewards! This also means that you're allowed to use a console client to join our server and become afk for hours and days if you wish to, completely allowed. announce this event, because this event is what makes us as a community grow more. 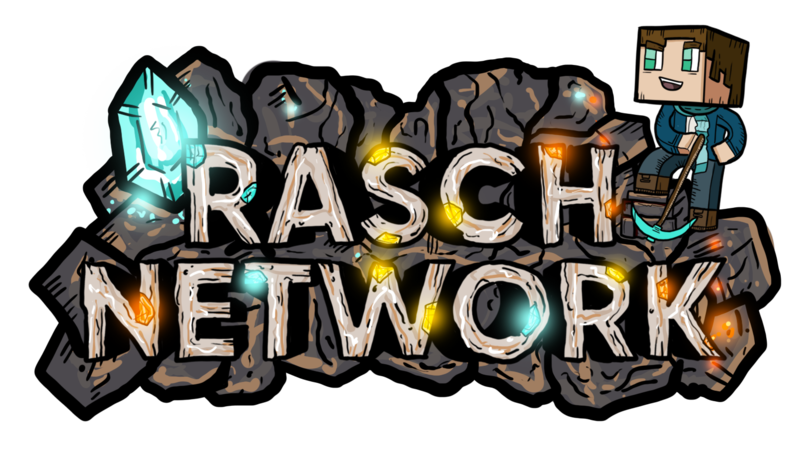 an advantage in-game, but also gives Rasch Network an advantage of growing bigger. you to spend on our store, not just prizes for 1 player, but for 5 this month! Good luck to everyone on this event! Thanks for all the bug reports and suggestions, well here's our new set of updates, hope you guys enjoy. Here's our new set of updates , hope you guys enjoy and thanks for the suggestions + bug reports, etc. Just little updates, you'll notice. First of all thank you so much for all the votes, you're all amazing! To think we reached this many votes this month is fascinating. Congrats to the winners, if you appear on the list then please PM me so I can give you a code to use on our store! Have fun. Tomorrow I will start the event once again with the same prizes also! Be prepared to vote once the votes are reset tomorrow, it's gonna be announced by the way. Ok so we all know Toxicity is actually allowed in my server but there's a huge exception in here! You are not allowed to be disrespectful towards a staff nor can a staff be disrespectful to you, so it's a mutual thing and a basic rule you must follow. If you're having an issue please report it to a staff or directly to me, don't start swearing at everyone and quitting for nothing, just pm me and we'll solve it nicely and easily. Members can in fact be toxic towards each other, that's not a problem here. Ya'll can be racist, sexual, offensive and what ever but not towards a staff and a staff can't be neither one of those towards you as a normal member. Thanks for reading this, I hope you're all having a great day. Quite a lot of updates done here, thanks everyone for reporting them, I really appreciate the huge amount of support coming from you guys and let's keep this amazing communication so we can grow bigger as a community and a team! The radius for stacking loot was a bit too much, causing it to suddenly "disappear"
There was a duping using zombies, it's fixed now, thanks Latiya! Many fun updates have been done here, I hope you guys enjoy them! As you will notice, a lot of bugs have been fixed for skyblock! edit the messages a bit more and done. The menu is very similar to survival, just a few little changes.